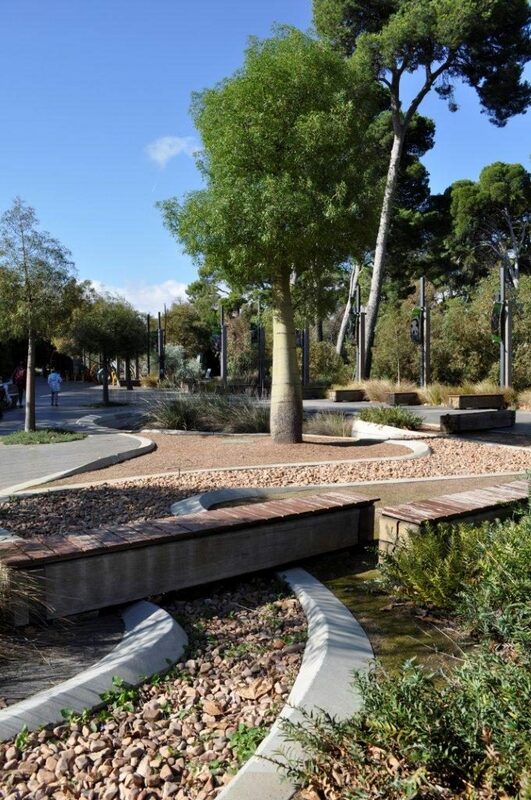 Water-sensitive urban design (WSUD) promotes the sustainable use and re-use of water in urban and buildings. This type of design integrates the total water cycle and water from all sources – including rainwater, storm water, groundwater, mains water and waste water – into urban development and building processes. WSUD measures and tools can be applied to residential, commercial and industrial developments and buildings. They range from the storage, treatment and use of runoff to water-efficient landscaping. WSUD can help communities achieve greater water sustainability and become more pleasant places to live and work.